At UTS Science, we value our Alumni community and we are committed to creating engagement opportunities that support a mutually beneficial and life-long relationship between the Alumni community and the Faculty. Our vision is to be recognised as a leading scientific centre of excellence with leading scientists at the helm. UTS Science has gone through major changes over the years and will continue to develop at the cutting edge of scientific discovery. I invite you to explore the many ways you can reconnect with the Faculty and to be part of our professional community. I look forward to seeing you at the upcoming Science Reconnect events. Become part of the exclusive UTS Science alumni community. When you graduate, your UTS connection does not end. You become an important part of the UTS alumni community in general and the UTS Science community in particular. 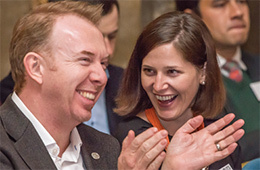 Joining an exclusive group of 10,000 UTS Science alumni, you are also connected to professionals working across the globe, as part of the UTS alumni network. A large number of alumni events and engagement activities are hosted by UTS throughout the year. Check UTS Alumni events and Faculty of Science events for updates. UTS Science is keen to collaborate with UTS Alumni to establish professional experience opportunities for current UTS Science students. If you have any internship opportunities for science and maths students, we would love to hear from you. 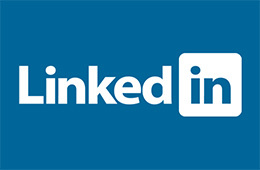 LinkedIn is the best way to make professional contacts, enhance your professional profile and advance your career. Join the UTS Science Alumni LinkedIn Group to connect with Science Alumni and science professionals, and stay informed on what’s happening in the world of STEM. 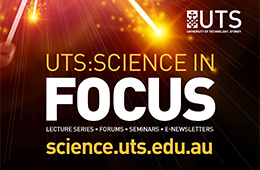 Meet like-minded people and stay up-to-date with the latest research and discoveries in the fields of science, maths and technology through the Science in Focus public lecture series. Check out the videos and upcoming events. The benefits don't end when you finish your studies. UTS Careers Service provides a number of different services to current students as well as alumni. 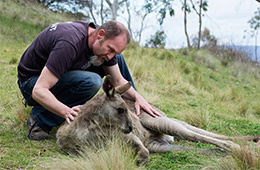 Check out the full range of services available to UTS Alumni. Share your achievements and stories with the Alumni community. Tell us what you’ve been up to and we will publish your news with the rest of the community via our communication channels. UTS Science is proud of the accomplishments of its alumni and we would love to know about your achievements. If you have an interesting story, or a career highlight that you would like to share, contact us. Make sure you keep up to date with news from the University and your fellow graduates by ensuring we have your correct details. Read about Dr Lacey Johnson's ground-breaking blood research. © Copyright UTS - CRICOS Provider No: 00099F - 28 March 2019 02:53 PM. The page is authorised by Deputy Vice-Chancellor and Vice-President (Corporate Services).